The much publicized Apple beats deal is now official. Apple Inc. (Nasdaq:AAPL) has said it is buying Dr Dre’s Beats Electronics for $3 billion. The deal, which has drawn criticism and praise alike, will see Jimmy Iovine and rapper Dr. Dre work under Apple’s internet services segment headed by Executive Officer Eddy Cue. The beats deal has been tipped to help Apple regain its music mojo. The company, which revolutionized digital music through iTunes, has been struggling in subscription music – a service that is slowly replacing digital music downloads. The high-end Smartphone maker is now set to pile pressure on the industry leaders, Pandora and Spotify. The executives from both Beats and Apple said that the former will retain its brand and remain separate from Apple. 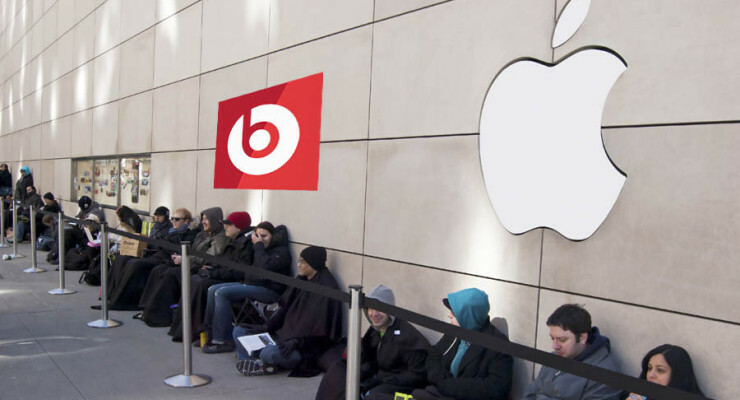 Beats’ high-end headphones will continue to be sold in Apple stores, alongside Apple products. Some people may feel that keeping both Beats’ streaming music service and iTunes digital music store and streaming radio service is like duplication of projects. However, the two brands are completely different and will be extremely difficult to merge. So Apple has offered to play it safe by letting Beats continue operating independently. Apple will be happy to have the legendary music producer Jimmy Iovine on their side. Since the demise of Steve Jobs, the iPad maker has gradually been losing touch with the major labels following the declining sales of albums and individual songs in iTunes music store. There is hope among shareholders and analysts that bringing in a music industry insider will help the company recapture the lost grounds. Perhaps what he is not saying is that the talent the pair has is what iTunes was missing. And because there was no time to breed such talent from inside, so he had to acquire it through the beats deal. Apple and Beats have agreed the terms of acquisition as $2.6 billion will be paid in cash whereas the remaining $400 million, which is only $4 million shy of NeXT acquisition in 1996, will be in stock. Until Beats deal came around, Apple has avoided big buyouts, but possibly those days may be all gone. This is Apple under Tim Cook, not Steve Jobs! However, poaching talent has been one area where Silicon Valley firms outdo each other, and Apple just got Iovine on their side! Beats deal is yet to be officially concluded and it expected to be finalized in this fourth quarter. This will be Apple’s biggest acquisition ever, dwarfing the NeXT buyout that brought back Jobs to “his” company.